This node creates a terrain from a curve. 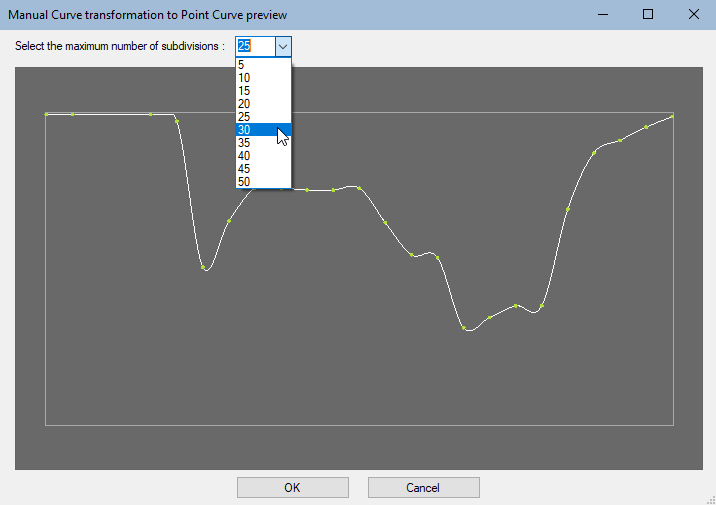 You draw the terrain profile by drawing a curve. The terrain height is not affected radially from the outside to the inside as in the Circular symmetry node, but linearly from one side of the terrain to the other. 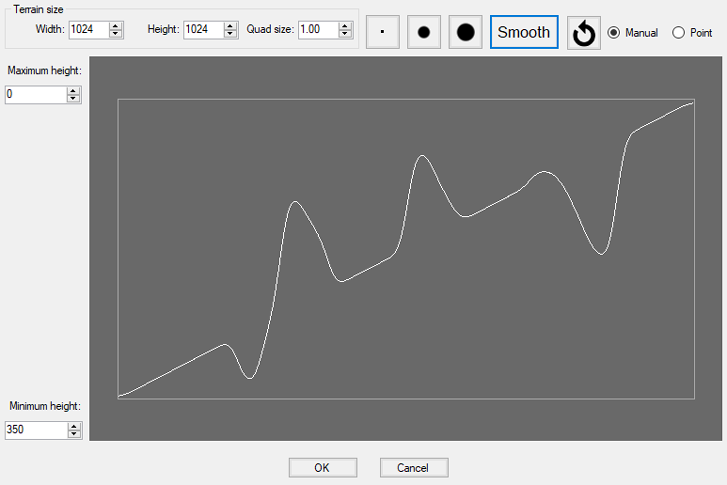 To add an Profile curve node, right click in the Graph Editor and select Create Node > Terrain Generation > Profile curve. 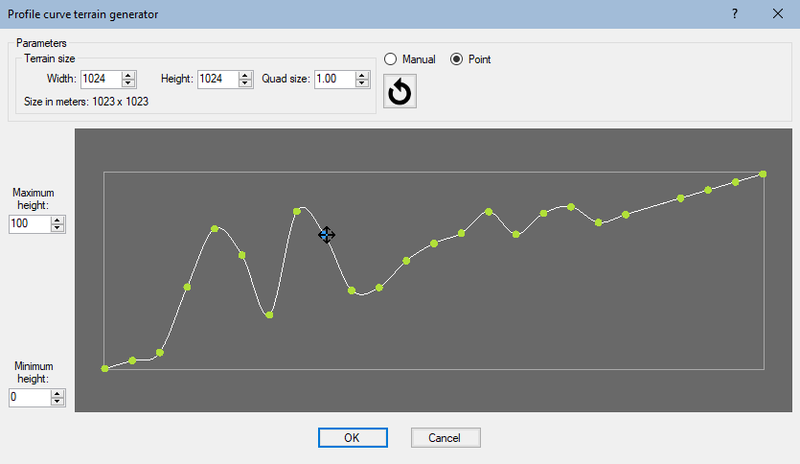 To change the terrain size, edit the Width and Height fields in number of vertices. You can set the minimum and maximum height of the vertices to a defined value, represented by a value of 0 and 1, respectively, on the curve. Minimum height: Determines the minimum height of the vertices whose value on the curve is 0. Maximum height: Determines the maximum height of the vertices whose value on the curve is 1. 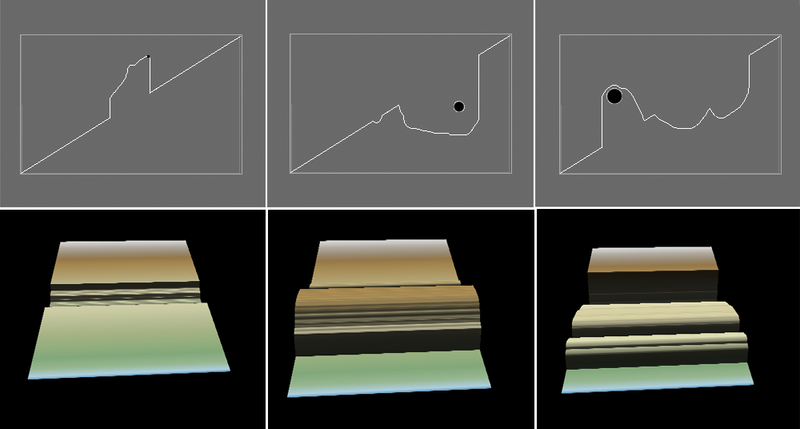 Using the smallest cursor makes detailed changes to the values; using a larger cursor makes changes to larger areas in the terrain. Click and drag the mouse to change the terrain values.